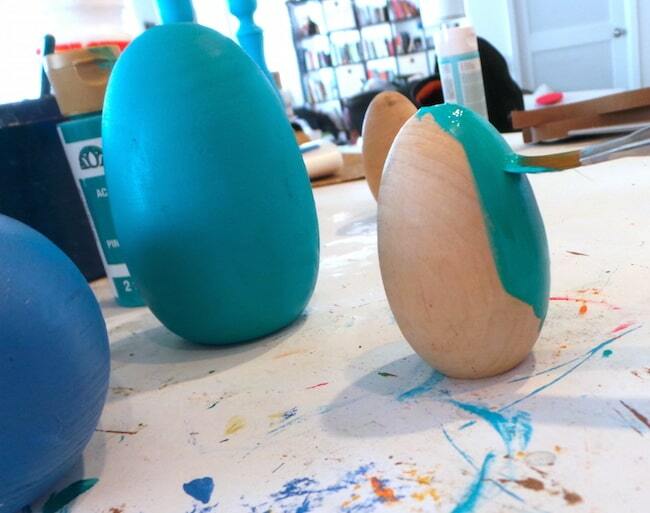 These painted Easter eggs are a unique way to decorate for the holiday – add bright paint colors and gold leaf. Use real Easter eggs or faux! So last year I completely gold leafed eggs in various colors, and then I also gold leafed candlesticks in a sort of patchy way, with paint. I decided to combine them together to make some decorative eggs for Easter . 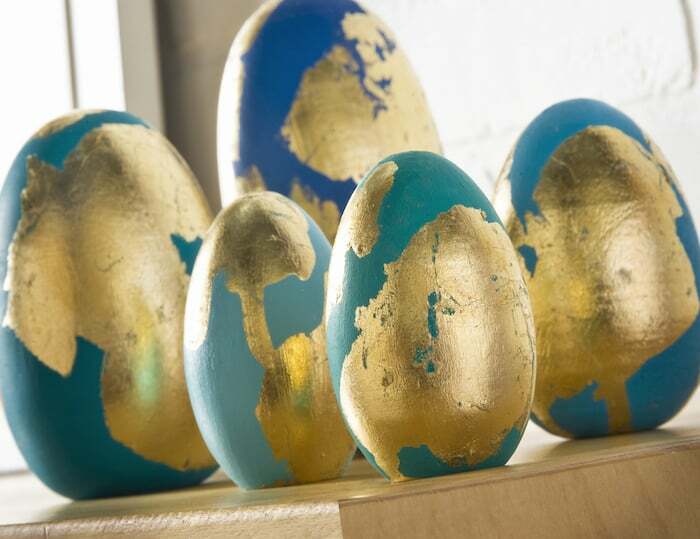 . . so introducing, gold leafed and painted Easter eggs! I really kind of like them and think they look interesting. They may not be everyone’s bag, but hey, they were fun to make. Here’s how I did them. You’ll start by painting eggs with whatever colors you like. 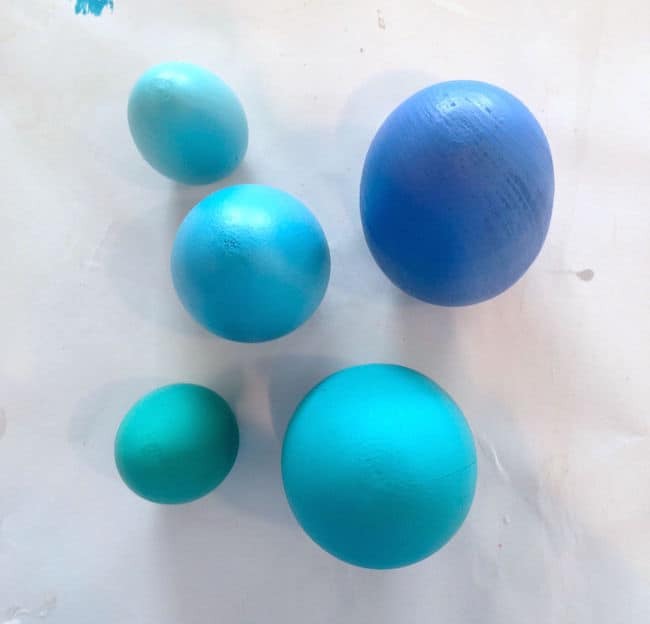 I picked blues of course – they are my fave. 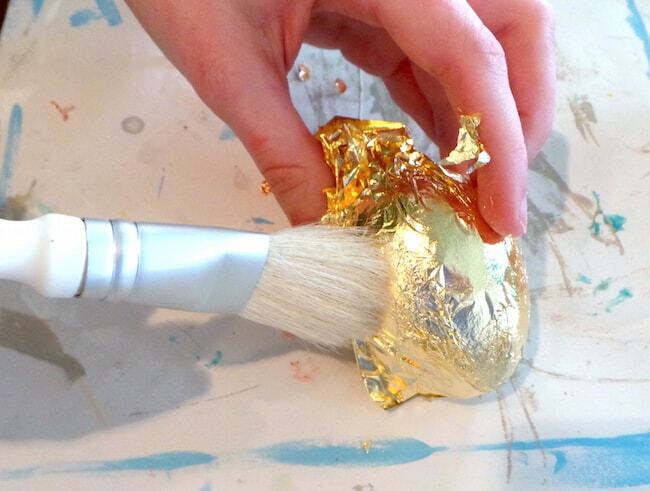 You won’t believe how relaxing it is to paint eggs. You could just sit there all day. 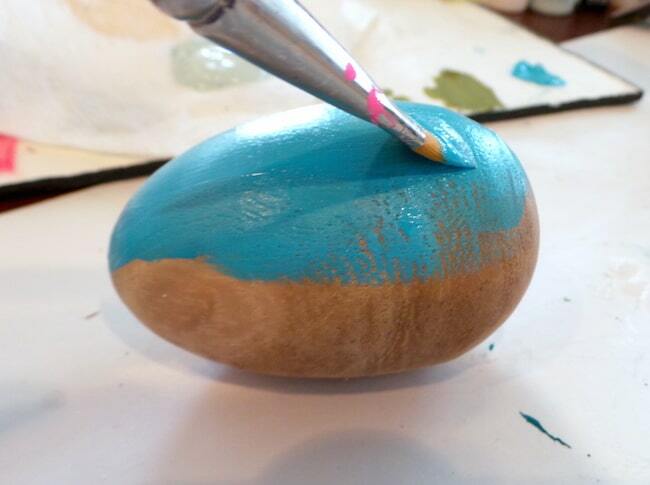 Painting eggs. And then they look so pretty when complete. 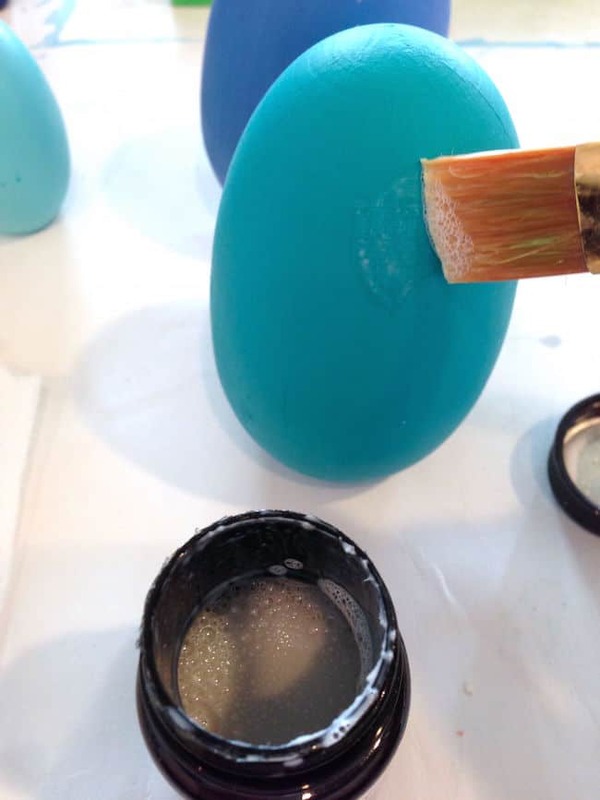 Like any professional gold leafer, you’ll paint adhesive size on the surface of the egg where you want the leafing to go. Then you’ll wait the time indicated on the bottle (mine was 30 minutes). When that’s done, you simply tear off some gold leaf and place it on the surface, and use the brush to tap it down. You can brush away the excess. Repeat with all of your eggs! And that’s it! 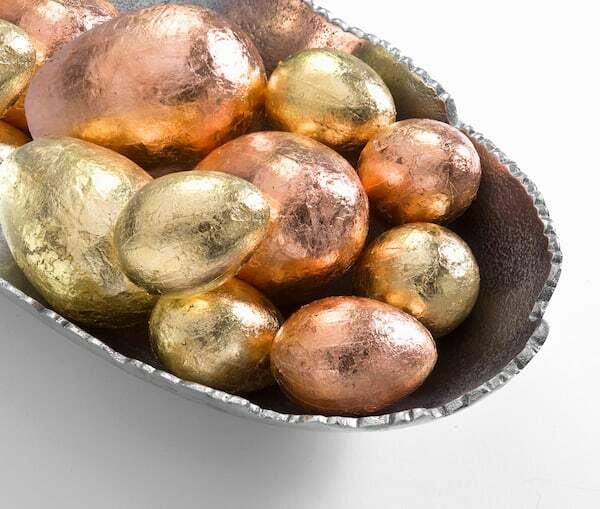 Now you’ve gold leafed Easter eggs, so cross that off of your bucket list. I’d love to know what other ways you decorate Easter eggs? Let me know your favorites in the comments!